This resource brief provides links to selected trainings and related tools on the topic of evidence-based and informed resources to address MCH issues. It is one in a set of MCH Navigator resources developed to support the MCH workforce’s efforts to improve access to health care; use quality improvement tools to guide effective transformation; foster integration within public health and across sectors; support change management that will result in health improvements for MCH populations; and enhance training and networking opportunities. 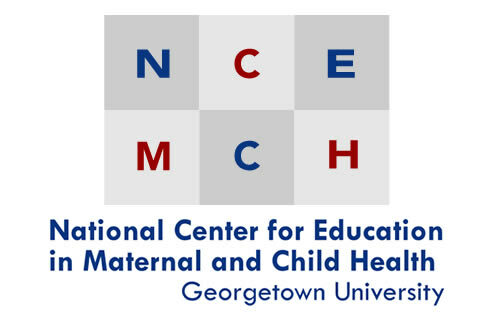 See also the National Center for Education in Maternal and Child Health's (NCEMCH's) collection of Evidence Briefs that present evidence-based/informed programs and resources for use by state Title V agencies. AMCHP-CDC Skills Building Suite: Evidence-Based Practice–Moving Along the Continuum from Selection to Sustainability. Date Developed: 2013. Source: Association of Maternal and Child Health Program. Presenters: Starr Banks, M.P.H., Cherie Rooks-Peck, Ph.D., R.D., L.D., Kathi Wilson, Ph.D., M.P.H., C.H.E.S. Type: Webinar Archive. Length: 3 sessions, 90 min. each. Special Instructions: This webinar is located approximately 2/3 the way down the page. You will need to scroll down to access materials. Evidence-Based Public Health Practice. Developed: Unknown. Source: Ohio State University, Center for Public Health Practice. Type: Online Course. Length: Self-Paced. Evidence-Based Public Health Training Series. Developed: 2017. Source: Northwest Center for Public Health Practice, University of Washington. Presenters: Series, varies. Type: Online Course. Length: 10 hours. Introduction to Evidenced-Based Public Health. Developed: 2013. Source: Northwest Center for Public Health Practice. Presenter: Jeffrey Harris, M.D., M.P.H., M.B.A. Type: Webinar Archive. Length: 60 min. Introduction to Evidence-Informed Decision Making. Developed: Unknown. Source: National Collaborating Centre for Methods and Tools. Type: Interactive Modules. Length: Self-Paced. 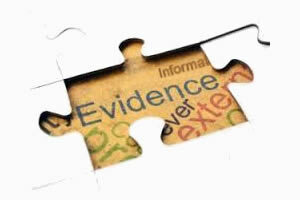 The Role and Use of Evidence in Policy. Developed: Unknown. Source: Wisconsin Center for Public Health Education and Training. Presenter: Elizabeth Feder, Ph.D. Type: Online Course. Length: 120 min. Searching for Research Evidence in Public Health. Date Developed: Unknown. Source: National Collaborating Centre for Methods and Tools. Type: Interactive Modules. Length: Self-Paced. Understanding Evidence. Developed: 2013. Source: Centers for Disease Control and Prevention, Division of Violence Prevention. Type: Interactive Modules. Length: Self-Paced. Understanding Research Evidence. Developed: 2014. Source: National Collaborating Centre for Methods and Tools. Type: 19 Online Videos. Length: Self-Paced. 2013 Leadership Symposium on Evidence-Based Practice, Implementation Science: Closing the Gap Between Innovation and Practice. Date Developed: 1/8/2013. Source: California Social Work Education Center. Presenters: Multiple. Type: Conference Archive. Length: Self-Paced. Evidence-Based 101. Date Developed: 2014. Source: FRIENDS National Resource Center for Community-Based Child Abuse Prevention. Type: Interactive Modules. Length: Self-Paced. Available at no charge but requires users to self-register for an account by selecting a user name and password. Evidence-Based Public Health. Features slides from the course developed by the Prevention Research Center in St. Louis. Evidence-Based Behavioral Practice Training Portal. Nine modules illustrate the evidence-based practice process for both individual and population-based approaches. Continuing education credits are available for social workers, psychologists, physicians, and nurses. Evidence-Based Public Health (EBPH) Online Course. Date Developed: 2010. Source: University of Illinois at Chicago, Institute for Health Research and Policy. Type: Online Course. Provides an overview of the EBPH process and includes additional resources and short quizzes. Scaling an Effective Intervention: How to Build Implementation Capacity, Replicate with Fidelity, and Produce Consistent Outcomes. Date Developed: 10/14/2014. Source: PerformWell. Presenter: Dean L. Fixsen, Ph.D. Type: Webinar Archive. Length: 90 min. Centers for Disease Control and Prevention's Evidence Project proposes a comprehensive framework for understanding evidence and evidence-based decision making that includes three types of evidence (best available research evidence, contextual evidence, and experiential evidence). The following documents provide more information about the framework for thinking about evidence. Expanding the evidence universe: Doing better by knowing more. 2011. Produced by the Center for the Study of Social Policy. This paper provides recommendations related to expanding the knowledge base necessary to improve outcomes for children, families and communities. Written for discussion during the Harold Richman Public Policy Symposium, the authors propose a five-part set of concrete actions that the philanthropic, public, nonprofit, academic, business, and entrepreneurial sectors can take to build a wider and deeper evidence base. Mathematica Center for Improving Research Evidence (CIRE)provides expertise in designing, conducting, and using a range of scientific research and evaluation approaches in varied settings. CIRE disseminates information to help clients understand what types of questions different research methods can and cannot address. CIRE also uses transparent and scientific standards to assess and improve the quality of research methods. Understanding Evidence: New Guide Explains Four Key Types and How to Evaluate Them. (2016). A Roadmap for State Policymakers to Use Comparative Effectiveness and Patient-Centered Outcomes Research to Inform Decision Making. (2014). Produced by the National Academy for State Health Policy. This guide is designed to help policymakers with varying levels of experience understand and use comparative effectiveness research (CER) and patient-centered outcomes research (PCOR). Contents include a legend to orient those new to CER and PCOR and steps for using this research in state policymaking. Topics include identifying when CER and PCOR can inform policymaking, finding research and other relevant resources, evaluating the evidence, using the evidence to design program or policy, communicating and disseminating the decision, and monitoring and evaluating new research as it becomes available. Case studies and sample applications for each step are included. The appendices contain additional sources of research, guides, and tools; a list of suggested reading on CER, PCOR, and evidence-based decision-making; and an overview on conducting a systematic review. U.S. Office of the Assistant Secretary for Planning and Evaluation (ASPE) contracted with the American Institutes for Research to conduct the Investing in What Works project. The goal of the project was to continue ASPE’s efforts to build knowledge, tools, and supports that evidence-based interventions (EBIs) and initiatives can use to improve the quality and outcomes of interventions funded through federal investments. This project worked with a panel of national experts to convene action-oriented strategy meetings among federal staff, practitioners, and researchers, and to develop three issue briefs. Willing, Able -- Ready: Basics and Policy Implications of Readiness as a Key Component for Implementation of Evidence-Based Interventions. (2014). Using Evidence-Based Constructs to Assess Extent of Implementation of Evidence-Based Interventions. (2014). The Importance of Contextual Fit When Implementing Evidence-Based Interventions. (2014). Evidence-based practice: EBP Home. Health Sciences Library, University of Washington. Guide to Clinical Preventive Services. Produced by the U.S. Preventive Services Task Force. Includes recommendations on screening, counseling, and preventive medication topics and includes clinical recommendations for each topic. Guide to Community Preventive Services (The Community Guide). The Task Force on Community Preventive Services has systematically reviewed more than 200 interventions to produce evidence-based recommendations on population-level interventions. Evidence-Based Practices Resource Center. Substance Abuse and Mental Health Services Administration, U.S. Department of Health & Human Services. A collection of scientifically-based resources for a broad range of audiences, including Treatment Improvement Protocols, toolkits, resource guides, clinical practice guidelines, and other science-based resources that aims to provide communities, clinicians, policy-makers and others in the field with the information and tools they need to incorporate evidence-based practices into their communities or clinical settings.